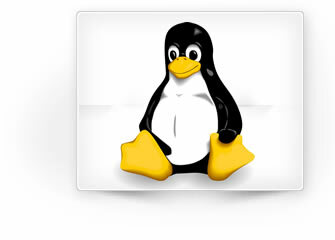 Linux users tend to be a loyal bunch, but that loyalty doesn't necessarily pay much in the way of dividends when it comes to trying to play online poker on a machine running a Linux operating system. Some rooms offer half-baked Linux options, while others claim to be Linux-compatible but end up expecting you to use a complicated workaround in order to play at their room. We've surveyed the available options for Linux players, and it's a good news / bad news situation. The bad news: Linux does limit your options as an online poker player, at least somewhat. The good news: Running Linux as your O/S doesn't limit your options to the point where you don't have high-quality options for playing online poker. Those options - and our pick for the best of the bunch - will be our focus in the paragraphs below. With an excellent no download client and a variety of mobile choices, 888 Poker is our pick for Linux users looking to play online poker with the least amount of work and stress possible. With more games than 95% of the competition and a reputation that stretches back to the earliest days of the online poker industry, Party accommodates the needs of all online poker players but should prove to be an especially good fit for Linux users. Making an account is simple, and you'll qualify for exclusive bonuses, (including a free cash offer) and freerolls after making your first deposit when you follow our steps for signing up at 888 Poker. With no US poker room offering a native Linux version, we propose Bovada Poker as a quality destination for Linux users from the US. You'll have to choose a setup that allows you to use the software at the room, but once you've solved that minor issue you'll appreciate the impressive array of games, rapid banking and industry-leading deposit bonus Bovada offers. Virtual Windows: This option might not have a lot of fans among Linux users, but running some version of Windows just frankly makes your life as an online poker player easier. It's not just poker room software that's the issue - you'll also quickly find that a variety of third party programs such as PokerTracker aren't compatible with Linux either, and as you become more serious about poker, these are tools you're going to want to have access to. Running Windows inside Linux offers a total solution to the problem. Browser-Based Client: If you're done with Windows, you still have this option. More and more rooms offer a version of their software that is completely browser-based, essentially erasing the lines between competing operating systems. Mobile Poker: You always have the option to move your online poker play to mobile devices; regardless of what device you're using, there's a very good chance that the poker room of your choice will have a compatible app. Separate Machine for Online Poker: This might seem extreme to some, but it's actually a pretty reasonable idea. Not only would this machine run whatever O/S you wanted, but it would also dramatically increase your security - a critical issue for online poker players, especially as the stakes you play increase. Keeping online poker (and all associated programs) on an isolated machine lets you play wherever you want and offers you increased peace of mind in the bargain. Why is the Linux Market Neglected by Poker Rooms? It's a complicated question. On one hand, competition for players in the online poker industry is so intense that you would expect rooms to leave no stone unturned in the search for customers. Linux users tend to have a good amount of overlap with the typical online poker player demographic, making a Linux-compatible poker client an even smarter investment. On the other hand, Linux users still make up a tiny fraction of the total computer-owning public; much of the advancement and growth Linux has seen over the last decade has been in commercial and organizational adoption and not among individual users. Ultimately, most poker rooms have made the calculation that the number of players a native Linux poker client might draw would not justify the costly and time-consuming process of developing and maintaining such a client. Helping to make the decision even more clear for rooms: Linux players have a number of alternatives that will allow them to play at major rooms even when those rooms lack a downloadable client compatible with Linux.